Is a thriller still a thriller if it doesn’t thrill? That is ultimately the question you are left with if you make it through Roger Christian’s sci-fi thriller Stranded. When a lunar space station is severely damaged by a meteor shower its four staff must prepare to return to Earth. But one of the astronauts becomes infected by some spores found on one of the meteors. The result is a rapid pregnancy shortly followed by the birth of a healthy baby alien. The creature continues to develop rapidly, taking the form of one of their fellow astronauts, and starts to wreak havoc on their station while they wait for help. Director Roger Christian has a strong science fiction pedigree. He won an Oscar as a set decorator on Star Wars and was art director for Ridley Scott’s Alien. Unfortunately when it comes to his work as a director his calling card is Battlefield Earth, a film renowned for its awfulness. Stranded is a scrapbook of ideas snipped from other films. Primarily, it is a pale imitation of Alien – we even get the alien spawning in the uterus of a female crewmember – that fails to create the intense, claustrophobic mood which was so central to that film’s success. The simple narrative is entirely uninteresting and devoid of logic and the characters don’t engage you. The film simply doesn’t make you care. Christian Slater is the ‘name’ that leads this small cast of unknowns (Doesn’t that say something? When was the last time you chose to see a movie because Christian Slater was in it?) but he clearly isn’t overly invested in what he is doing here. 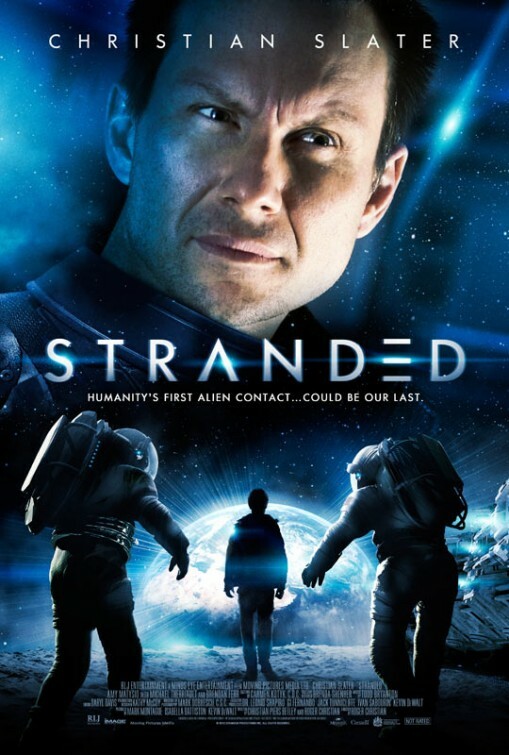 If Stranded has one saving grace it is that the film is almost completely devoid of CGI. One can only imagine how terrible the effects would have been if the rest of the production is anything to go by. That the alien conveniently takes on human form also means there is no need to design a convincing looking alien. The movie finishes with a lame excuse for an open ending. Ordinarily you’d interpret that as leaving things open for a sequel, but surely the filmmakers here cannot seriously believe that is on the cards. Stranded falls into the awkward middle ground for genre films where it is not good enough to be enjoyed seriously, but not tacky enough to be enjoyed ironically.